In Morocco, August 20 is celebrated as King and People's Revolution Day, often referred to simply as Revolution Day. This public holiday commemorates the day King (then Sultan) Mohammed V was exiled from Morocco in 1953. 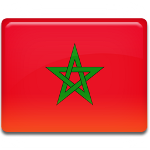 In 1912, the French Protectorate in Morocco was formally established by the Treaty of Fez. Sultan Abdelhafid abdicated after the treaty, and the throne was inherited by his younger brother Yusef. Yusef's reign was marked with frequent uprisings against the French rule. Yusef died in 1927 and was succeeded by his son Mohammed. During Mohammed's rule, Moroccan nationalist movement began to emerge. After WWII, the Istiqlal Party released a manifesto demanding complete independence of Morocco. Mohammed V approved the manifesto and submitted it to the colonial authorities. The sultan did not try to hide his sympathy towards the nationalists, so the French forced him and his family into exile on August 20, 1953. On this day, Moroccan people began to mobilize to struggle for their independence. This is considered the beginning of King and People's revolution. Active opposition from Moroccans to the French protectorate lead to the abdication of Mohammed Ben Arafa, who had been put in Mohammed's place by the French. In 1955, Mohammed V returned to Morocco and began negotiations for the independence.